When I was swatching, I liked a lot of things, but these were the two that really caught my eye. 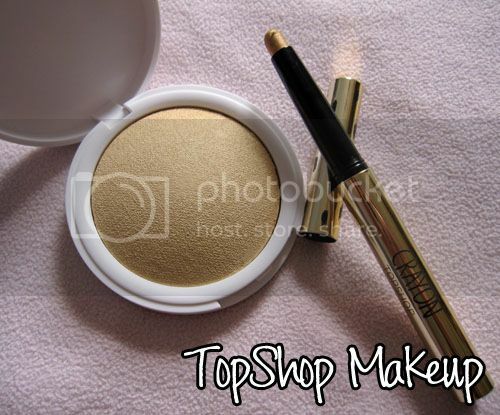 I love gold makeup and naturally, I was drawn to these two. 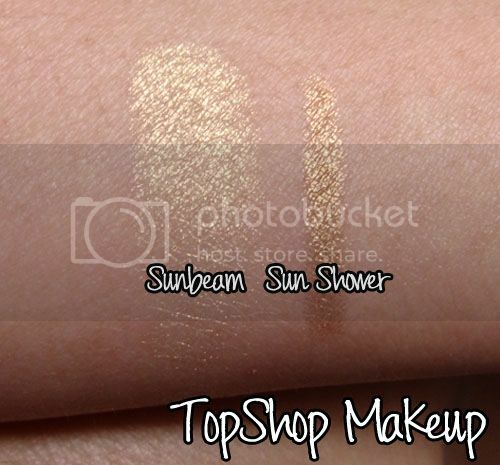 Sun Shower crayon is a bright yellow gold colour. It is sooo smooth and buttery to apply. It feels like the MAC shadesticks, but I think this one is way softer and smoother to apply. This comes in another colour, a silver one. I'm contemplating on picking that one up too. 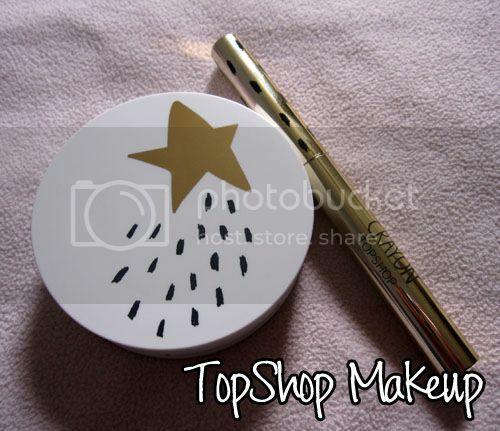 This is such a gorgeous product! Sun Beam is a yellow gold highlighter. Its a lot lighter than Sun Shower in colour. Again, its really pigmented and smooth. If you use this on your face, you'll need a skunk brush + a light hand for this one! I think each of these two cost £8. Topshop gives 10% off for students with id, and this was no different. I really want to pick up one of the blushes, a lipstick, and possibly an eye kohl. Its great to have these great quality products for a modest price! An amazing blush for £6?? Such a steal! Love Top Shop! Didn't know they had make up too. Lovely colors! The gold crayon is just stunning!!! How does it perform on the eye (longevity, creasing etc)? I really love your blog!! and the banner is tp die for! hope you could foolow mine as well! thanks so much!! I really like the gold shimmer! It looks so good on summer tanned skin! I use the cargo eye-lighter :) Works wonders too! You've convinced me to try gold next! gonna be honest - did not expect topshop to put out such high quality products!! but everyone seems to be seriously loving their stuff, so I'll have to go check it out soon.